At the moment the market is behaving in such a way, that we can consider wave (B) at the daily chart of the pair to be completely formed. It looks like the price is forming initial waves inside impulse (C). The price may continue growing during the next several days. 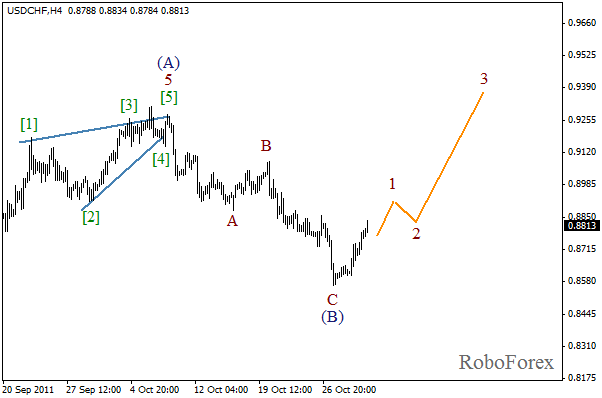 As we can see at the H4 chart, wave (B) has been completed in the form of a usual zigzag pattern. Currently the price is forming a rising impulse in wave 1. In the near term, we can expect the first wave to continue. 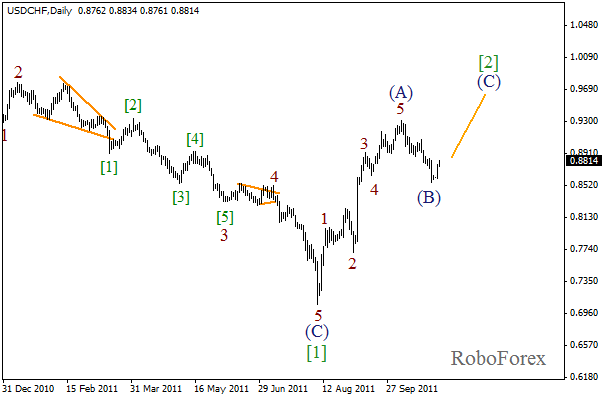 It looks like double zigzag pattern in wave (2) at the daily chart continues. On the minor wave level we can see the formation of wave (Y). In the near term, we can expect the market to reach a new minimum, however, then, there is a possibility that the price may reverse upwards. 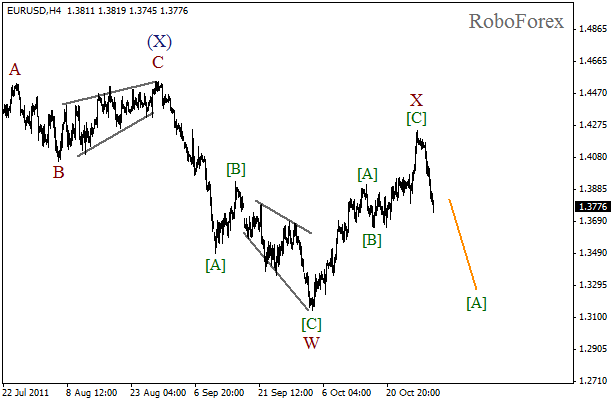 At the H4 chart the price has completed zigzag pattern in wave X. 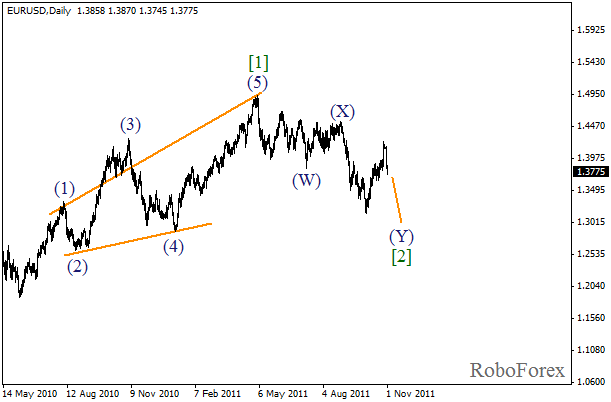 At the moment we can see the formation of a bearish impulse inside wave [A]. The forecast of the price movement is shown on the chart. The price may continue falling down during the day.